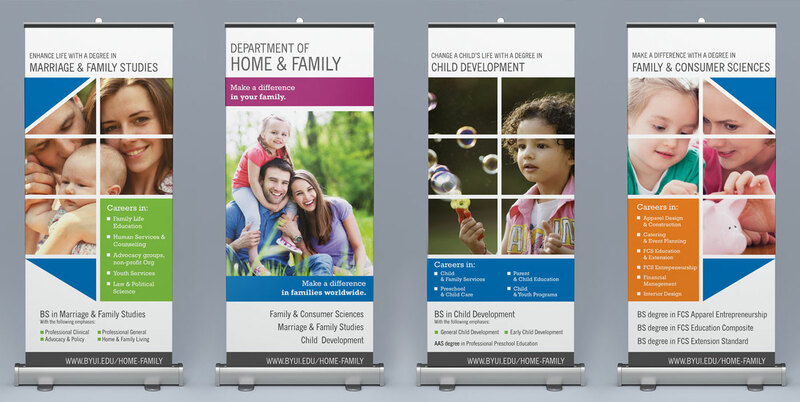 Scope: I was approached by the Department to design a series of banners that would be used at conferences and fairs. The challenge was to represent the major areas of the department (which are very different from each other) in a unique way. I loved the flow and feel of the banners. They’re able to stand alone, but also work well as a set. I also really liked the way the grid pattern worked across each banner in creating that great style.